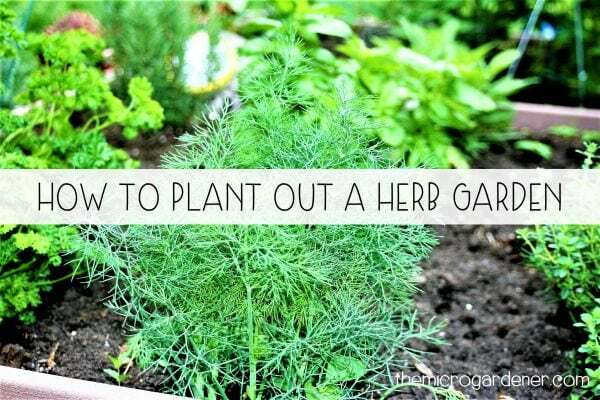 Learn more about how to grow culinary and medicinal Herbs and the kinds of garden designs and containers you can grow in. Do you feel stressed or anxious on a regular basis? If so, spending time in nature outdoors, especially enjoying your garden as a peaceful sanctuary is one of the best ways to centre yourself and relax. Taking time out to listen to nature sounds like birds and bees, watch plants grow and thrive, and experience the colours, aromas and beauty around you can help lessen life’s worries and put life in perspective. I’ve discovered many herbs can also provide relief. 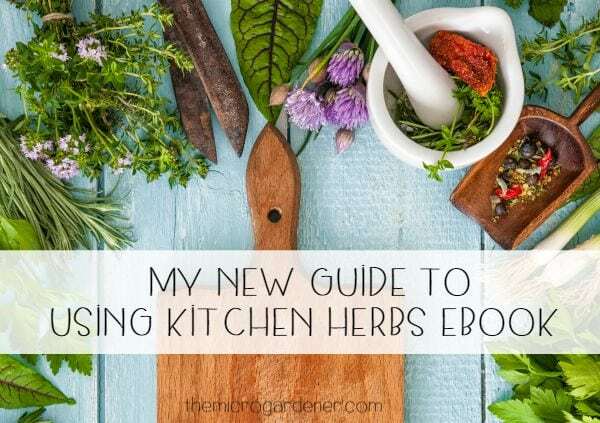 One of the aspects of growing herbs that I find so beneficial is not only using them for flavour, but for their medicinal benefits too. 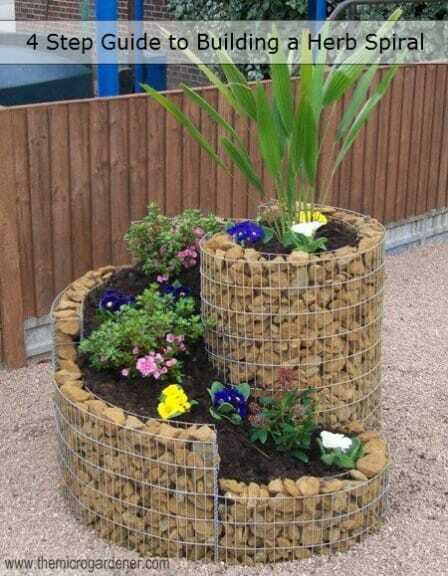 There are many herbs that are easy to grow in your own ‘home pharmacy’ garden for every day relief of common ailments including anxiety and stress. These herbs are three of my favourites and can also be combined into a relaxing herbal tea. 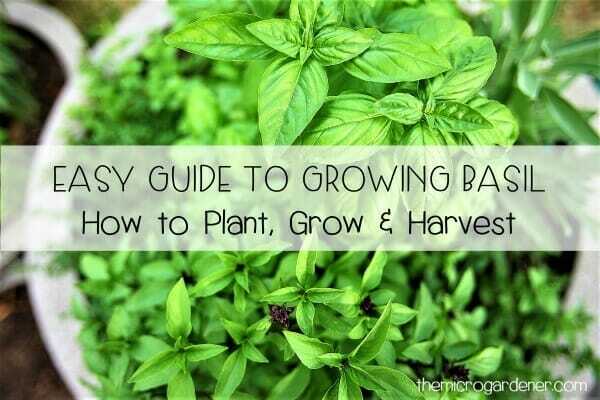 In warm climates, grow Tulsi Basil as a perennial or as an annual in cold and temperate climates. 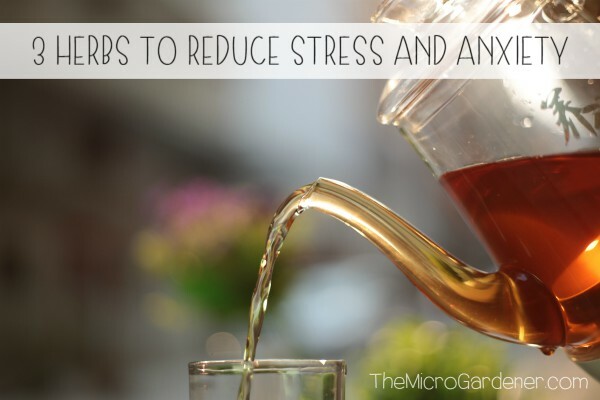 Use Tulsi or Holy Basil in a herbal tea to help ease anxiety, stress and adrenal fatigue. Brew up a few fresh basil leaves or about 1 teaspoon of dried leaves as a herb tea to aid digestion, calm nerves, reduce tension and stress. 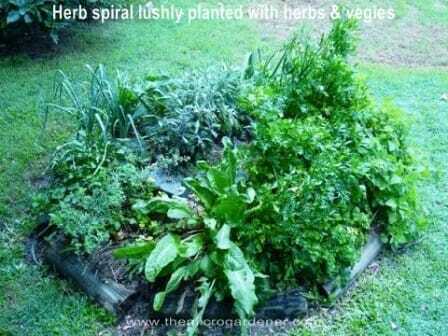 You can also add your other favourite herbs. 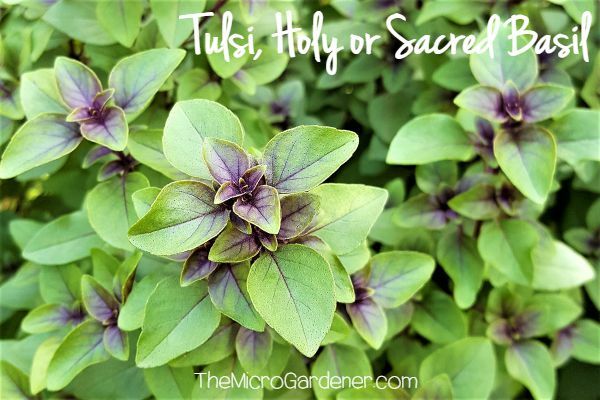 Cautions: Tulsi basil is a uterine stimulant so avoid if pregnant or seek medical advice. 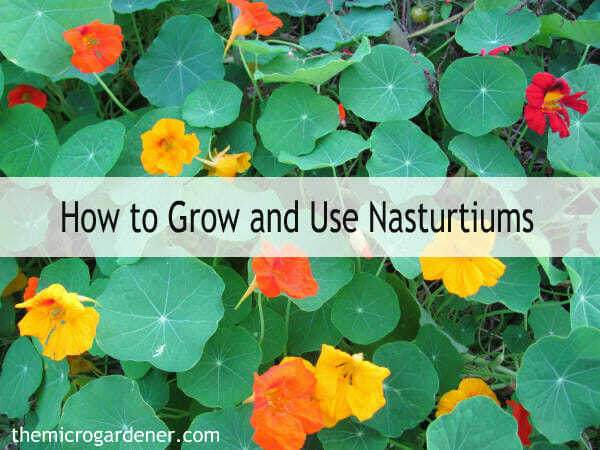 Have you heard the saying: “Be nasty to nasturtiums“? 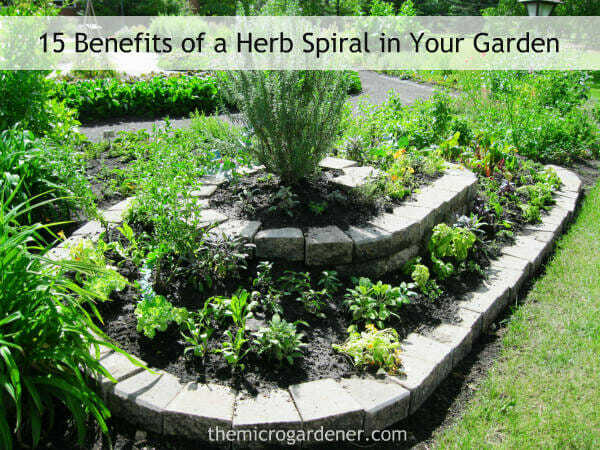 There seems to be some truth to this, because these low-maintenance carefree herbs thrive in a poor, dry soil without a lot of water – or work. 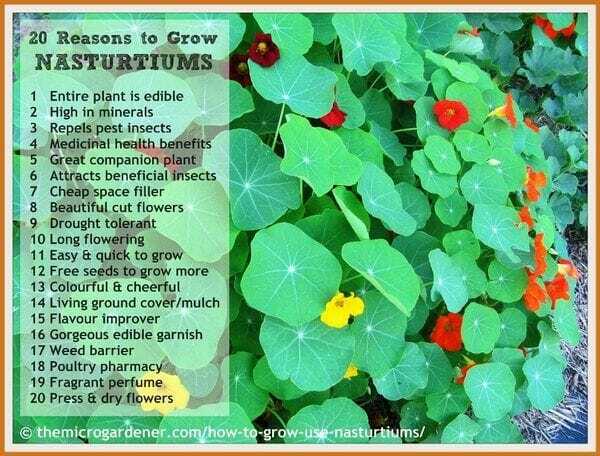 This makes nasturtiums a plant of choice for many thrifty and busy gardeners! Want to learn to grow rocket? 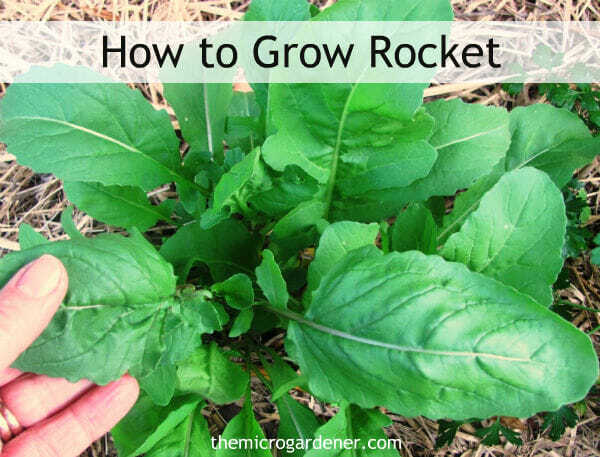 The humble herb known as Rocket or Arugula is one of the easiest, fastest foods to grow. Perfect in pesto, delicious in dips … this slightly peppery green has many bonus health benefits. So dig in! 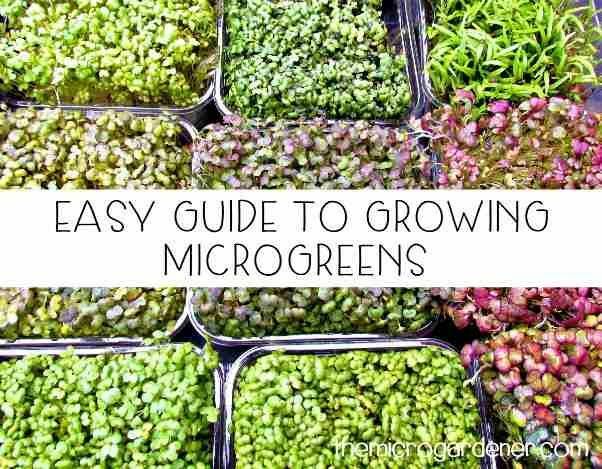 With both culinary and medicinal uses – try adding this easy-to-grow edible to your garden. According to Isabell Shipard in her informative book ‘How Can I Grow Herbs in My Daily Life?’ rocket is a rich source of sulforaphane. A powerful anti-cancer, anti-microbial and even anti-diabetic compound. It’s also a potent trigger for detoxifying blood and cells and helps promote production of cancer-preventative enzymes. The fresh leaves are highly alkaline and rich in anti-oxidants.